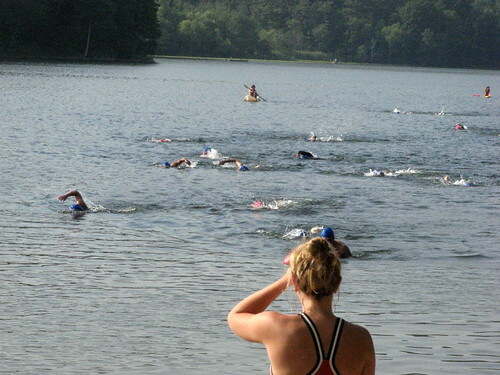 Only instead of Kate, her husband Rick did the ride; Lynn swam, and I ran in the second annual Sharon Sprint Triathlon. 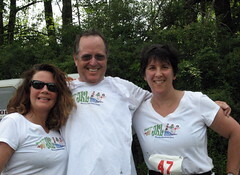 Lynn and I were a few minutes slower than last year, but Rick was quite a bit faster than Kate had been, so we improved our overall time by nearly 10 minutes. But it may be my swan song for running - the plantar fasciitis and achilles tendinitis are just too bad. I'm going to a new physical therapist and doing lots of home exercises, but meanwhile, it's the pool for me. 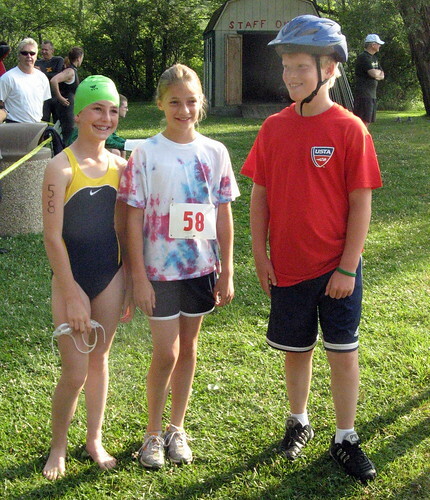 The youngest tri - team - Annika, Simon and Paris. 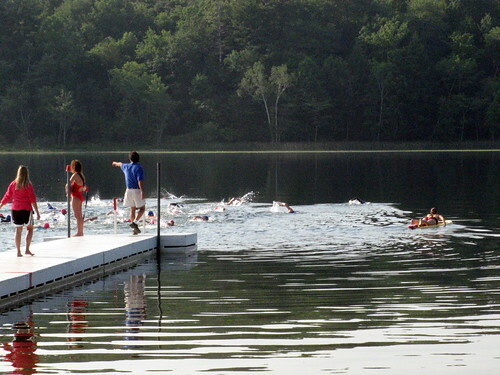 I guess after the swim I forgot to take any more pictures! Out of when them were only available in only a house by way of a team of mountaineers, Wildcraft includes can come the distance consequently. chanel replica bags Based during Bangalore, China, the firm contains a countless collection of products and solutions by using areas just like attire, devices plus boots or shoes so that you can enjoy a person's rough outdoors plus heroic section. hublot replica Furthermore all these, Wildcraft as well provides for a repertoire with rucksacks, convertibles, boots and shoes, huskies, pockets, cheaters, getting to sleep baggage, tents and various extras to get climbing. replica chanel To get consistent passengers, Wildcraft presents a number of baggage like duffels, wheelers, pockets, travel luggage plus these. fake omega Always keeping a urban plus smart society under consideration, Wildcraft paves opportunity for a number of bookbag, slings, T-shirts, hats plus capitals et cetera. fake chanel Other than all these, Wildcraft as well buildings various customized supplies including ponchos, rain-cheaters, umbrellas, seat baggage, swiss-knives, hydration bags plus sippers even more. ....didn't keep track...about five 5ks, the Sharon 5 mile road race, The Harvest Heart 10k, and the Philadelphia Half-Marathon, completed in about 3:15. Finished my first tri!!! Hooray!!! in 2:07:54. Harlem Valley Rail Ride - July 29 - did the 30 mile ride. Sore for a week!